A play scheme that first took root in Bristol, has recently been copied in Stoke Newington. Children in Hackney are set to reclaim the streets, thanks to a groundbreaking scheme that will close selected streets to through traffic, turning them into “play streets”. 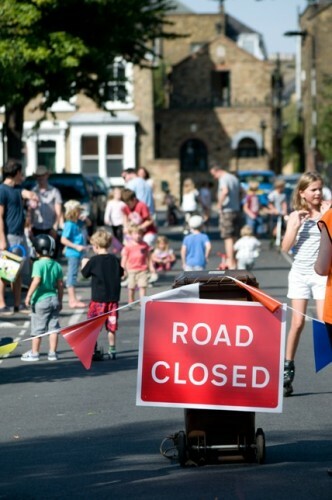 Hackney has become the first borough in London to introduce Temporary Play Street Orders (TPSOs), which allow parents to apply to the council to close their street for a few hours per week or month. 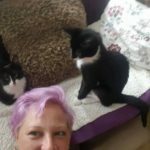 Stoke Newington resident and mum of three Claudia Draper, approached Hackney Council about launching the scheme. She said: “It’s brilliant that councillors have listened to residents and had the foresight to do this. At our annual street parties, the best thing is seeing the children running around, having fun without the fear of cars on the roads. Oldfield Road, in Stoke Newington, closed for the first time on Sunday afternoon (9 September). Around 70 children from Oldfield Road and surrounding streets played together, while older residents enjoyed meeting and chatting to neighbours. Residents in another six streets have already expressed an interest in joining the scheme. Those who live in play streets can still drive to and from their homes, and will be guided at walking pace by volunteer stewards stationed at each end of the street. To find out more about the Play Streets scheme contact gavin.best@hackney.gov.uk or 020 8356 3023.